One of the best ask now a days is on the cloud network it can be Public cloud or Private Cloud network. I will take care the private cloud discussion in an different article, in this article I am talking about the Public cloud. 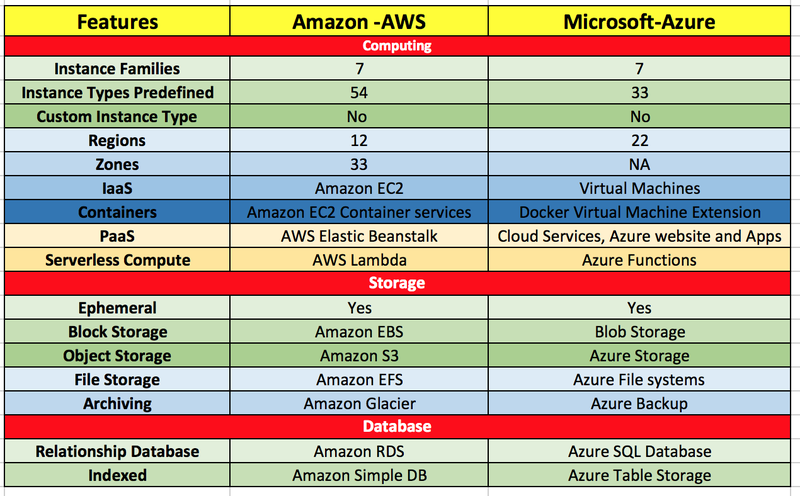 Majorly in a Public Cloud network we have two players who are leading the market, one is Amazon web services or so called AWS and another is Microsoft Azure project. I will explain both services one by one and then i will compare the features between them. Amazon Web Services (AWS) is a so called the secure cloud services platform, offering compute power, database storage, content delivery and other functionality to help businesses scale and grow. Organisations can quickly add and subtract AWS resources to their applications in order to meet customer demand and manage costs. 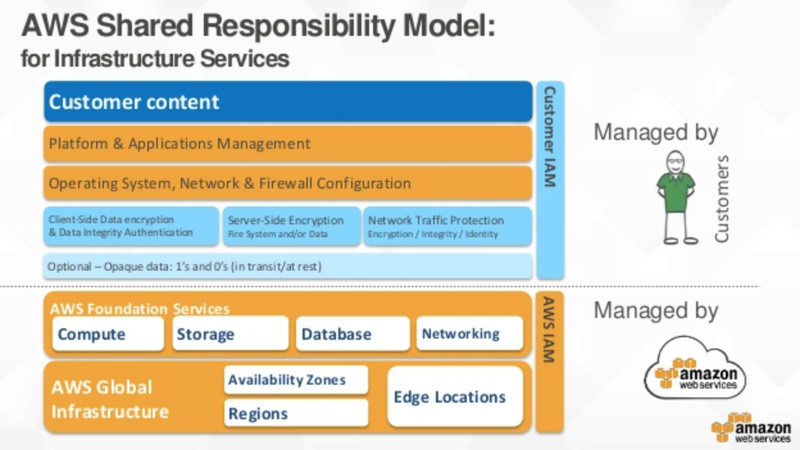 In order to provide end-to-end security and end-to-end privacy, AWS builds services in accordance with security best practices, provides the appropriate security features in those services, and documents how to use those features. When using AWS, organisations can leverage Amazon’s more than fifteen years of experience delivering large-scale, global infrastructure in a reliable, secure fashion. In addition, you can move existing SOA-based solutions to the cloud by migrating discrete components of legacy applications. Typically, these components benefit from high availability and scalability, or they are self-contained applications with few internal dependencies. As a cloud platform from Microsoft that provides a wide range of different services, If we talk about Windows Azure, Azure will let you build, deploy, and manage solutions for almost any purpose you can imagine. 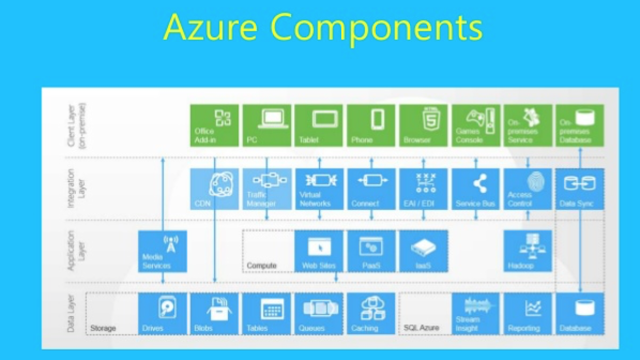 Whether a large enterprise that can spanning several continents and needs to run server workloads or a small customer that wants a website that has a global presence, Windows Azure can provide a platform for building applications that can leverage the cloud to meet the needs of your business. Windows Azure services are currently hosted in several datacenters spread across the United States, Europe, and Asia. These datacenters are managed by Microsoft and provide expert global support on a 24x7x365 basis. Cloud applications running on Windows Azure can easily be integrated with on-premises IT environments that utilise the Microsoft Windows Server platform. We will come up with the deep dive on both the models and the software feature sets in details. 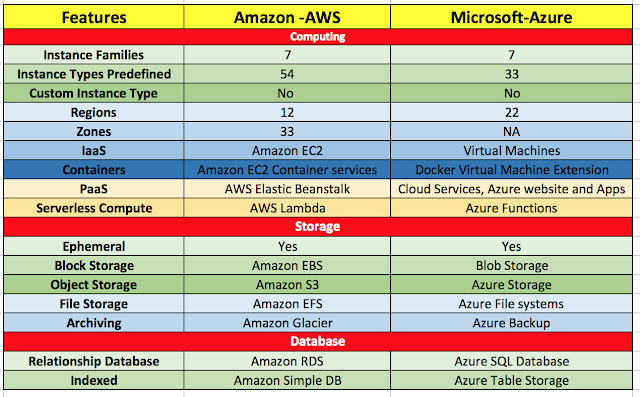 We will also compare Amazon, Azure with Google Cloud services as a Public Private cloud.